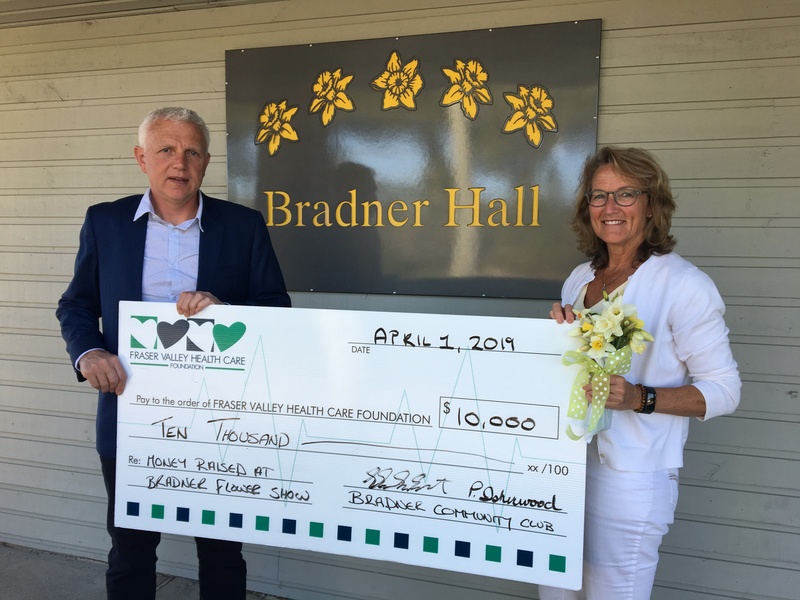 ABBOTSFORD, BC – With spring now in full swing the Bradner Community Club presented the Fraser Valley Health Care Foundation with a $10,000 donation to help with the new CT scanner at Abbotsford Regional Hospital. The Bradner Community Club will host its 91st annual Bradner Flower show at Bradner Hall, ​​on April 12th, 13th and 14th. Check out the 100’s of daffodils on display as well as art, crafts, music and presentations by gardening experts. Admission is only $2.00, and all funds from the sale of cut flowers will be donated to the Abbotsford Regional Hospital. The Fraser Valley Health Care Foundation raises funds for vital equipment and programs funded or endorsed by the Fraser Health Authority. They serve the communities of Abbotsford, Mission, Chilliwack, Hope, Agassiz and Harrison Hot Springs. For More information or to support your local hospital, please visit www.fvhcf.ca or call the FVHCF office at 1-877-661-0314.